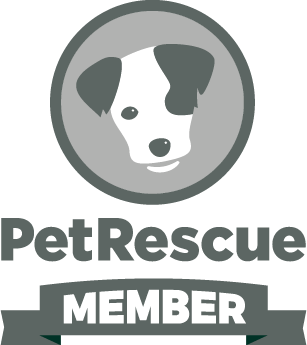 We are a small rescue group who takes on animals who would otherwise be euthanased due to being unwanted or Owners being unable to afford treatment. Initially we get these rescues up to date with preventatives, desex, vaccinations, microchip etc and then work at finding them perfect forever homes. Apples been in care for nearly 5 years, and although she loves her foster siblings (both cat and dog) she is really looking to settle down and find somewhere to relax and enjoy her retirement. 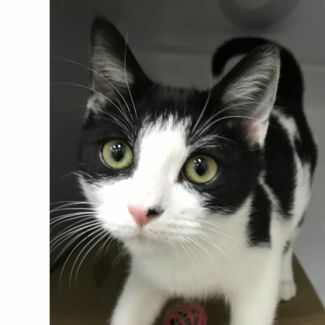 Apple is a beautiful cat and loves to be around people, she is also great with cats, dogs and birds. She is normally a very quiet cat but when she’s happy her purr could wake the dead. She truly doesn't need much, and is a particularly easy cat to look after, she is very happy as long as she is fed, watered and has her own comfy space to curl up nearby. Apple was originally surrendered in 2014 due to a leg injury but that was repaired by our wonderful vet team and since has caused her very little issue. Apple had originally come from a home with kids and somewhere along the way she has unfortunately developed a fear of hands coming at her face. We have worked on his with her tirelessly and she is now very content being pat and will happily curl up beside you or rub against you as she moves around but being a tortoiseshell when she’s had enough she is not afraid to tell you so. For this reason she needs a special home that understands her and isn't too handsy, she also needs a home with no kids. Apple is looking for someone who loves having a cat around for company but doesn't want a high maintainence cat that wants to be sitting on laps or being touched constantly. Apple will need to remain an indoor cat because of her previous leg problems but she is more than happy with this. If you think you could offer Apple the type of retirement home she deserves please fill out the adoption questionnaire below. Cute as a button and as crazy as they come. Nibblet is a boisterous, happy, playful little kitten with loads of personality. 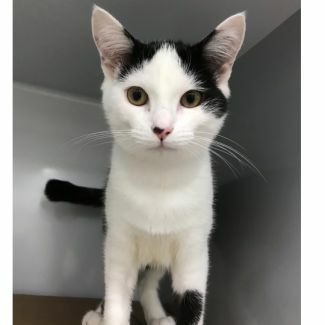 She is a typical kitten who has heaps of energy, is very active and loves any and all toys, she will even play with her cat litter if that’s all that’s available. Nibblet loves other animals and can happily live with cat-friendly dogs or cats. The first thing you will notice about Nibblet is her cute little half tail, it has been broken in the past and although completely healed, her tail is now kinked and about half the length of a normal cat. She is looking for a home where she will be treated as one of the family, kept safe inside and given as many toys as her heart desires. Nibblet was surrendered after she was attacked by a large dog when she was only a few weeks old. She has since required surgery to fix her squinty eye but is now as fit as a fiddle and ready to find her forever home. Leela is an absolutely gorgeous kitten who just wants a family to love and cuddle up to. She is playful, happy and very adventurous and would love a family of her very own. 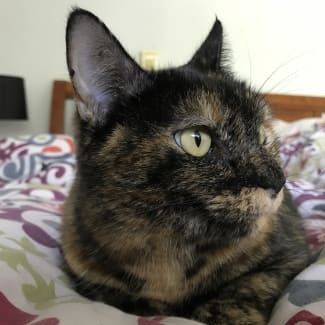 With a purr that could wake the dead, Leela adores curling up next to her person and will even curl up on your shoulder if allowed. If you think you can offer Leela the kind of home she deserves please fill out the adoption questionnaire below and I will be in touch to organise a meet and greet. 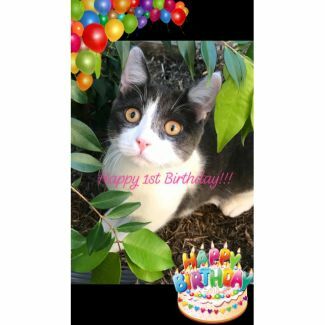 Minty is now 1 year old!!! We can’t believe she hasn’t been scooped up yet! Minty celebrated her birthday in the Vet clinic, the only home she has ever known. She was spoilt rotten by her staff of course but what she really wished for was a home and family of her own to celebrate with. Minty really is the perfect cat, you can do anything with her and she loves curling up on the couch next to her human. She is the happiest, most confident cat you will ever find. She is very active and very playful but equally happy to laze the day away. Minty loves dogs and other cats and is very confident with them. Minty is looking for a forever home where she will be treated as one of the family. If you think you could provide Minty with the forever home that she deserves please fill out the adoption questionnaire below.